FOUNDATIONAL SCIENCE publications that distill our current understanding of effects on individual species and ecosystems in a management context. TECHNICAL GUIDANCE documents that provide a vision for how monitoring, modeling, and research can better serve decisions across management jurisdictions. MAJOR FINDINGS, RECOMMENDATIONS, AND ACTIONS that summarizes the Panel’s main messages and presents actions that can be taken now to address OAH. Visit the Panel’s products page to download these resources. The main message of the Panel is: there are actions to take, and there is a cost to inaction. Working with the Ocean Protection Council Science Advisory Team (OPC-SAT), Ocean Science Trust is mobilizing the scientific community to address science needs raised by the Panel’s Recommendations and Actions. April 18 OPC-SAT workshop “Bracing for a Changing World” full proceedings and summary. OPC-SAT Letter to the Ocean Protection Council regarding OAH. OPC-SAT working group on exploring aquatic vegetation as an OA management tool. Partnering with San Francisco Estuary Institute on ocean acidification in estuaries. Understanding OAH hotspots and adaptive capacity of species and human communities (coming soon). Ocean Science Trust recently joined the newly formed International Alliance to Combat Ocean Acidification, a network of governments and organizations committed to addressing OA and other threats from changing ocean conditions. Through the Alliance, we believe the West Coast has a new opportunity to show its leadership to the nation and the world. Ocean Science Trust will develop a scientific ‘scope of work’ to attract partners across the West Coast to address critical science questions, and generate political momentum for science-informed action across many levels of government. 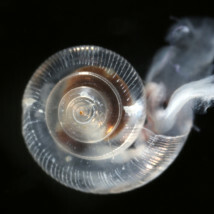 OAH are not isolated threats to our oceans, but part of a shifting environment in which carbonate chemistry and dissolved oxygen are changing alongside nutrients and temperature. We are coalescing our projects into a coordinated OAH program that aims to define what it means to be prepared for change.